There’s a huge farmer’s market every Friday in Old Oakland, and I have to admit, it’s one of my favorites. It’s rather large, and spans from fresh produce to prepared foods to even jewelry. It’s a great way to take a mental break during work and get some fresh produce and a breath of fresh air. This past week, I saw beautiful, knobby carrots and was immediately taken by them. They had a full head of greens, and I knew exactly what I would do with the carrot tops. Make pesto. 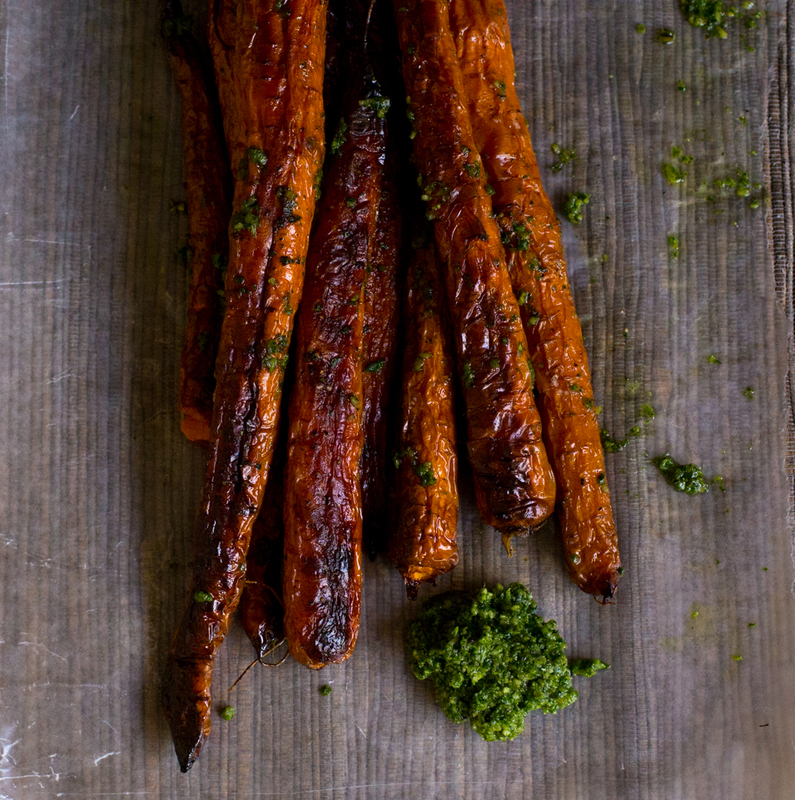 A perfect accompaniment to pasta, or perhaps… some roasted carrots? 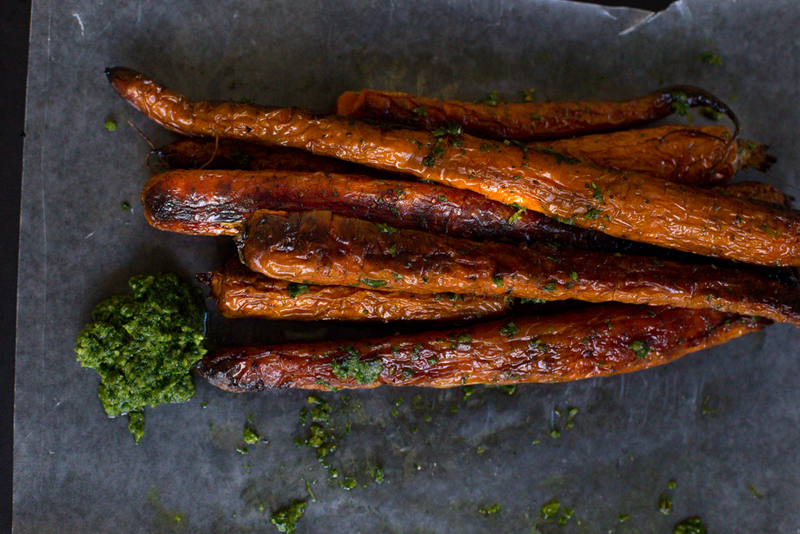 Roasted carrots. 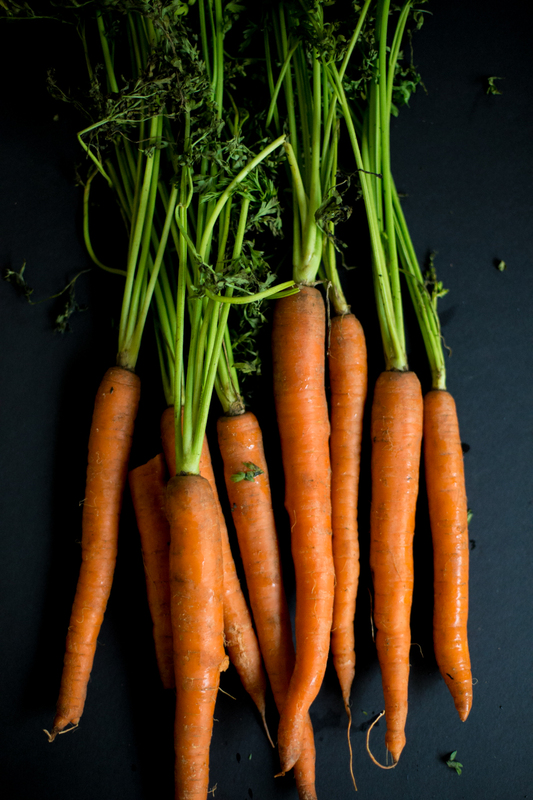 Cooked carrots can be a rather polarizing subject (politics, religions, and carrots! ), and I’ve seen people on both sides of the spectrum. I rather love cooking, specifically roasting, my carrots– the sweet flavor deepens after an hour in the oven, and you just can’t beat that beautiful brown crust. And so, I roasted the carrots, pulsed the cilantro and carrot tops, and was a happy little camper. The best part about this all? You’re reducing food waste by using the carrot from “head” to “toe”. Roast the carrots at 400 degrees F until the outside is browned and the inside is soft, about 45 minutes. In a food processor, pulse together the garlic and pepitas together until chopped finely. 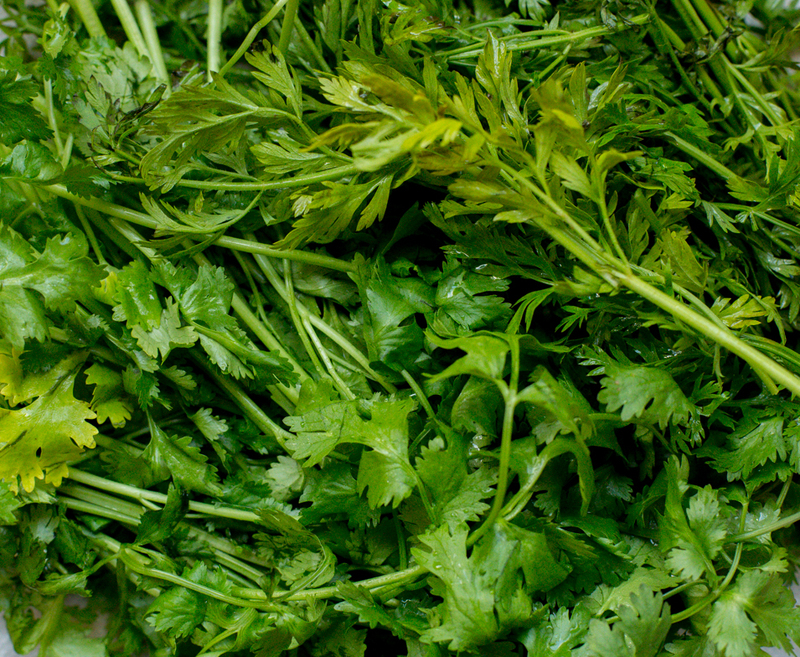 Then add the carrot tops, cilantro, and cheese. When it’s all roughly chopped, add olive oil and salt and pepper to taste. Serve piping hot from the oven. Pretty much the easiest recipe ever.